The YouTube community and the online media world is the future but it’s also the present – it is happening and evolving right now. For the second consecutive year, the Ryerson Communications and Design Society (RCDS) supported us 9 students, part of the New Wave Creators at Ryerson, and our passion for learning and engaging more with YouTube by sending us to the 7th annual VidCon! Founded by Hank Green, VidCon is the world’s largest online video conference held in Anaheim, California with over 20,000 attendees. The conference is for anyone who loves online video – from fans, to creators, to industry professionals. 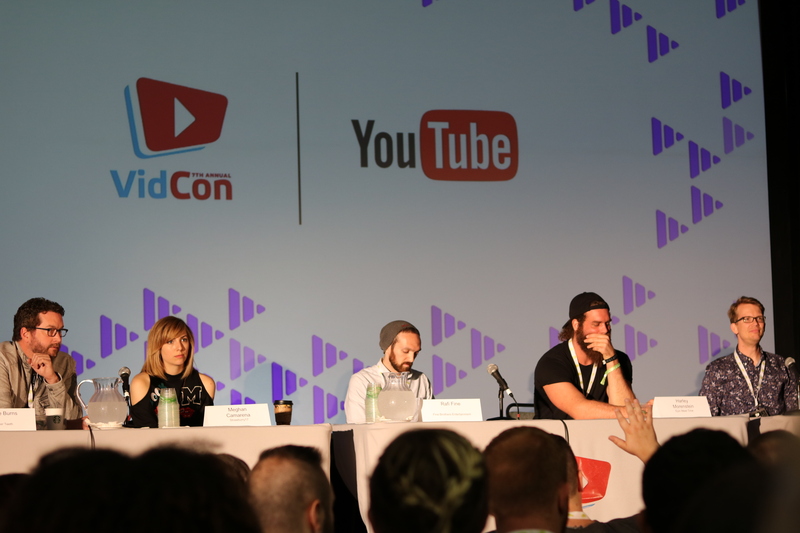 VidCon disseminates information on online media education in many ways but mostly through panels with featured creators and industry professionals. Panels range from tips and tricks in YouTube analytics to brand partnerships to your personality being your brand. There’s also an expo hall for attendees to network, attend larger scale interviews with their favourite creators, take photos, relax in lounges, and more. Now we want to share with you what one of our highlights or favourite panels were from VidCon. At the “Anything New to Watch?” panel, I listened to some creators discuss how hard it is nowadays to find YouTubers who are making content that they are proud of. I realized that I should be making content that makes me happy, and not just filming in order to upload consistently. In a time when YouTube is so crowded with mindless and meaningless content, I do not want to add to that trend just to be boosted to instant stardom. I want to be making videos that I enjoy creating. I want my videos to be the catalyst for important discussions among my audience! With practice, I hope to dive into the world of short films and sit-down vlogs. VidCon has definitely taught me that if I am making content that I believe in, I should not concern myself with the subscriber or view counts. My highlight was seeing how the entire team’s perspective got opened up so much. There was so much content this year, that each of the members of New Wave Creators had something different they wanted to see, and something that really inspired them. The whole convention had this intense sense of getting bigger and better to make its attendees bigger, and better. Countless nights of networking and discussions, and days filled with programming with amazing, engaging speakers, is what was truly inspiring to anyone who got to be a part of the experience. I think VidCon was the most beautiful example that learning isn’t all about information, it can be about perspective, interactions and soft skills building. From the many highlights of the conference, the one that stood out to me was the diversity in YouTube panel. The panelists discussed not only the growing diversity on YouTube, but comparing it to the diversity in Hollywood. It made me realize why I appreciate and love the YouTube community; because it’s equitable, diverse, and inclusive, and possessed the same values Ryerson preaches and implements on campus. 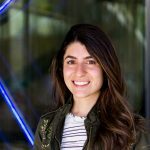 In terms of who’s represented at conventions or who grows to be the most popular on social platforms, the majority is not often that diverse or inclusive however, I genuinely appreciate the fact that VidCon considers the value in EDI and put in the effort to hosting a panel on the topic. The best part of the panel was the positive vibe in the room and the engagement from the audience, such as frequent cheering, clapping, and asking critical questions. Every audience member was attentive to the panelists because they were passionate and cared about the panel discussion. “Asking for money from your fans isn’t money grubbing so long as you add value”- Greg Miller. This completely changed my views on how we as creators can hope to succeed in an online world, especially because the content is there but the ad revenue and funding just isn’t yet. Through patreon, a company developed by and for online artists, these guys found a way to make an even stronger community, create value and live stable lives while producing great content. The highlight for me was being surrounded by professionals who are so passionate about and confident in the online video industry. For years people have thought that YouTube was just a hobby or a place to watch cat videos, but it’s so much more than that and being at VidCon just continued to confirm that for me. I felt so at home at the industry panels, especially the “Innovations in Viewership Metrics” panel because audience development and why people watch videos is a big interest of mine. Listening to people who work in the industry discussing analytics everyday made me feel so excited to know that there are so many career options outside of being a creator that are still involved in the online video world. It was also exciting to see everyone on the New Wave Creators team take advantage of VidCon really be engaged in learning about how they can enhance their content and be proud of the work they create. The entirety of VidCon was a highlight for me, but if I had to choose I feel as though getting to meet some many creative minds was by far my favourite part. Whether it be fellow content creators, industry professionals, my favourite YouTubers, etc – networking was incredible. Getting to understand how and why certain people make the content that they do is so inspiring, it’s great to see how passionate and proud people are about their work (as they should be). My favourite part of Vidcon was the fact that I was exposed to so many different perspectives . It was interesting to hear about the several different, and often contradicting ideas from the Youtube panelists. I was pleasantly surprised to learn that the story behind each Youtuber and their channels were widely different and unique, and they all had the ability to inspire me in some way, in their own way. It was amazing that though everyone’s story was so different, the single platform, Youtube, is able to bring and connect everyone together. 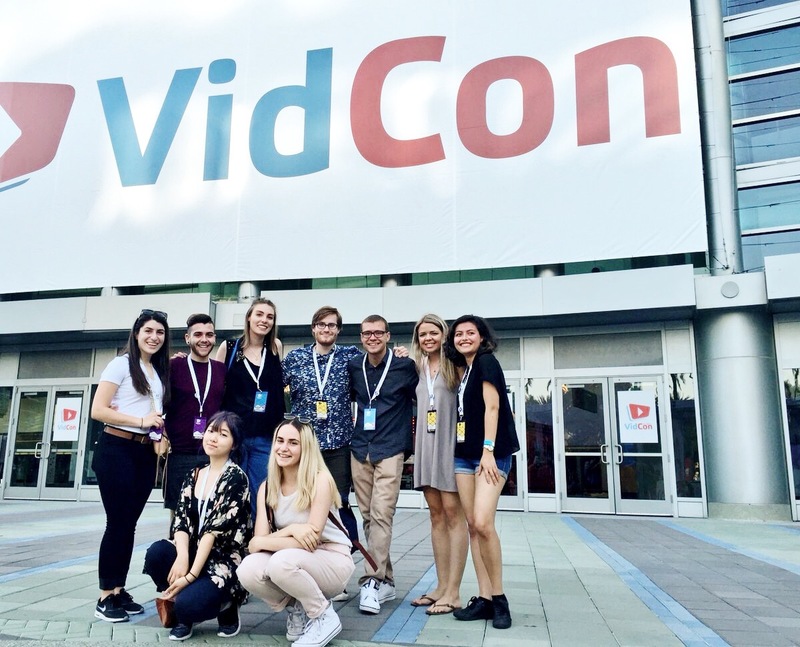 A highlight of VidCon for me was getting to experience VidCon with a bigger group of creators from Ryerson this year. Last year, there was only 4 of us, and this year 9! So everywhere I looked there was one of our New Wave Creators members that I would run into and get to chat about how their day was going. It was awesome to see how everyone had such a different experience and gained different sets of skills and knowledge yet we all attended the same convention! Getting to experience VidCon with those who had never been before was something really interesting and exciting for me and was probably the best part. As an aspiring content creator and filmmaker, my goal has always been to make unusual and provocative content. Films and videos that challenge our viewpoints and expand our imaginations. I think before coming to VidCon, I was really unsure about how to take my channel PassAJoke Productions to the next level while also staying true to the type of work that I wanted to create. What I took from so many of the panels was that certain audiences are hungry for sincerity, originality and integrity and that if we stay true to our voice we can find that viewership by uploading frequently and consistently. Despite sometimes seeming like it, YouTube is not just a place for clickbait and cat videos but a platform for many talented filmmakers, critics and writers. Overall, VidCon 2016 was an incredible experience and we all left feeling a stronger bond with not only each other, but with the YouTube community. We gained knowledge about online media through conversation that was unique to each panel made up of a variety of online content creators that we can’t get anywhere else. Follow @NewWaveCreators on Twitter and Facebook to be a part of a community of digital content creators at Ryerson.